Puma is pushing creativity and the importance of being yourself in their #DoYou campaign. On the roster of brand ambassadors is Cara Delevingne, who introduces the new Muse model. This sneaker can be described in a few words - sporty, stylish, bold. 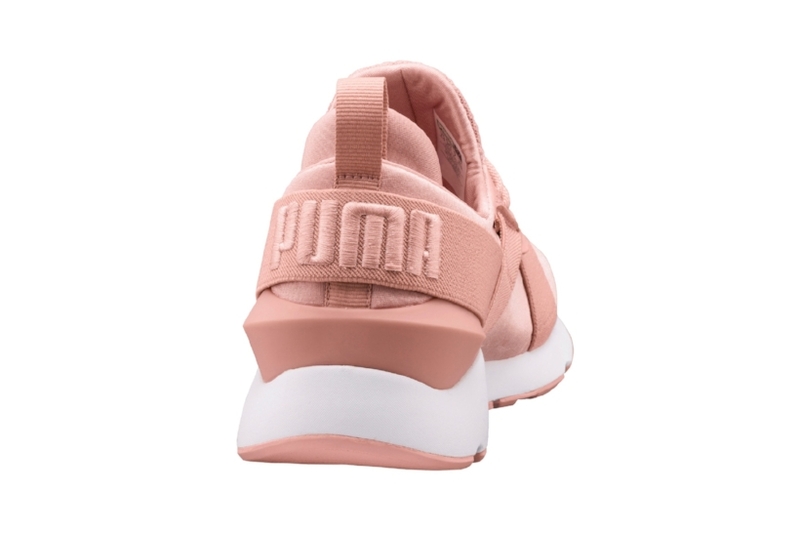 The latest Puma Muse X Strap comes in a playful mix of peach + pink. The sock-like construction is meant to drive performance, enhance comfortability, and serve style. The sneaker has straps that cross over each other on the satin upper supporting the lacing system, and behind the branded heel. The look comes together on a white midsole. This is something different from Puma and the brand continues to push innovative design through their #DoYou campaign. The big question is Cop or Can? If you're feelin' this new style, the Puma Muse X Strap drops tomorrow at select Puma retailers for $80 USD. Stay tuned and SHOP THE SNEAKS below on release day. Cara says #DoYou and run the show... Cop or Can? Staying laced up with PUMA. So I creeeep...for a cause. I don't think you're ready for this jelly.